I read Hurston’s Their Eyes Were Watching God some 20 years ago and if I’m being honest with you I didn’t read it. I found the dialogue rather difficult. One day I was over my grandmother’s struggling through and she heard me and gave a bit of a chuckle. I asked what’s funny and she just took the book from me and began reading. My grandmother is not from Florida where Their Eyes takes place, but she is from the south. Soon after she started reading everything started to click. We started from the beginning and after a few sessions we she was done. It was great for a couple of reasons. My grandmother and I bonded, she read something she really enjoyed, and now every time I read Their Eyes I hear my grandmother reading it to me. When first published in 1937, this novel about a proud, independent black woman was generally dismissed by male reviewers. 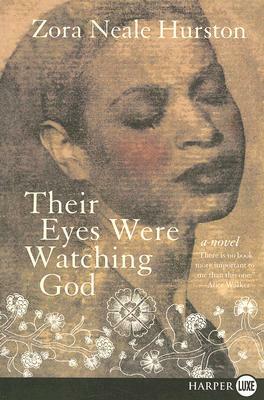 Out of print for almost thirty years, but since its reissue in paperback edition by the University of Illinois Press in 1978, Their Eyes Were Watching God has become the most widely read and highly acclaimed novel in the canon of African-American literature.